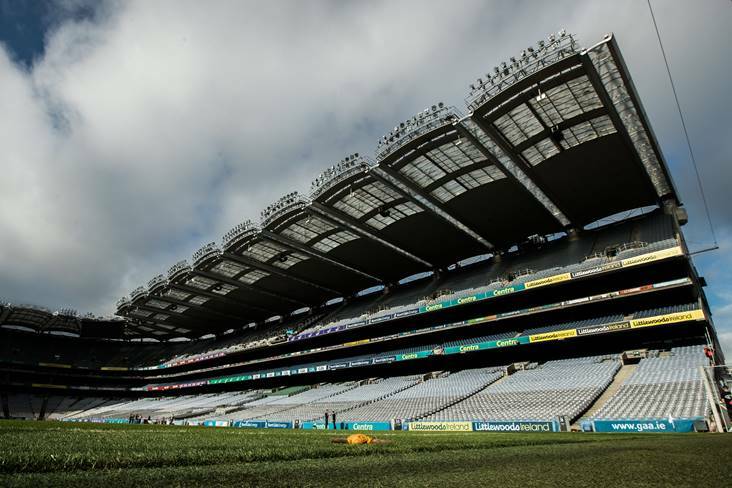 Croke Park will stage the four All-Ireland club intermediate and junior football and hurling championship finals on the same weekend next month. Kilcummin (Kerry) will face Naomh Eanna (Antrim) in the intermediate football decider on Saturday, 9 February (throw-in 4.45pm). This will be preceded by the junior football final between Beaufort (Kerry) and Easkey (Sligo) (3pm). The following day, Sunday, 10 February, will see Charleville (Cork) take on Oranmore-Maree (Galway) in the intermediate hurling final (3.15pm) and Castleblayney (Monaghan) meet Dunnamaggin (Kilkenny) in the junior hurling decider (1.30pm) beforehand. TG4 will show online coverage of all four games.